Dimensions: All sizes are available as per buyer. 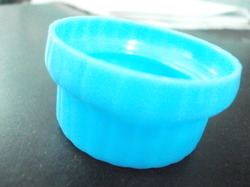 We are one of the most reliable companies in this domain and are into offering Plastic Flip Top Cap. We bring forth our vast industrial experience and expertise in this business, involved in providing Crimp Cap. 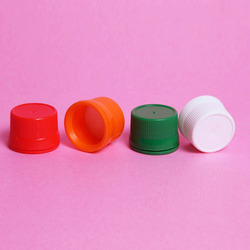 Matching up with the exact requirements of customers, we are involved in presenting a wide array of Fridge Bottle Cap. In order to keep pace with the never-ending demands of customers, we are involved in offering a wide range of Jar Plastic Cap. We are one of the proficient supplier of superior quality Sealing Caps available in varied range of 28mm, 48mm, 83mm, 100mm and 120mm. Fabricated using high grade material, these caps have accurate dimensions, durable in nature, stress resistant and leakage proof. Available in various colors, shapes and sizes, these caps well suit the specific requirements of our clients. - Available in volumes-10 and 20 Liters. - Closures of type L100, CL-1 together are appropriate. - 11mm 2ml 12 x 32 Clear Glass Vial with 11mm Aluminium Crimp Cap 6mm hole Red PTFE/ White Silicon Septa.